Panda is an algorithm used by Google that puts higher quality websites at the top of the search results list, while lower quality, lower quality websites are forced to the bottom of the search pile. The filter is ultimately designed to remove web spam. Why did Google do this? Was it to make small businesses and PR Firms feel their mighty wrath? Well, no. For years, companies and organizations were able to send out keyword-stuffed press releases filled with links to their site, and Google would treat this as a ‘recommendation’ – and accordingly bump up the company’s site (or that particular press release) in the search rankings. Thus, Google search results quickly became flush with spammy press releases with titles like ‘Cheap Canadian Prescription Drugs Sold Here’, and the like. It started to become difficult for the average user to separate the wheat from the chaff, and press releases started to become less about journalistic integrity and more about search engine exposure. Panda’s smart. It looks at a press release, blog, or website, and makes sure that it is a piece of genuine content. In other words, it makes sure that the content was written to influence human readers, and not search engine bots and crawlers. So are press releases done for? Does this mean press releases are no longer valid? Should you quit writing them altogether and remove them from your marketing plan? Well, no. The end of press releases is not upon us. They’ve been around for over a century and they aren’t about to go down without a fight. Fact is, Google isn’t targeting press releases themselves. What they’re targeting are press release sites that are responsible for producing a high amount of spam. In other words, Google is fighting against crappy press releases, which represent another form of crappy, thin, spammy content. Don’t believe me? Well just check out this link here. Google still puts out their own press releases on a regular basis. Why? Because they have their purpose. I don’t think Google is the big bad dictator that some people assume it is. I also don’t think that they are trying to penalize people who have legitimate businesses that wish to promote them in legitimate ways. They just want to make sure they are providing users with the best content possible. Where does that leave press releases? Well, I think Google wants to make sure they are being used for their original purpose—to get REAL news in the hands of people that will share it with the general public. Reporters, bloggers—you know. If you write your release to influence journalists and actual human readers, not search engines, you will have nothing to worry about. In order for that to happen, you need to make sure that you are only writing press releases when you have real news to share. You’d think that would go without saying, but I know for a fact that there are still people out there who write a certain number of releases per week, regardless of if they are newsworthy, to influence their search rankings. If that’s you, stop it! While some of the criteria obviously don’t apply to press releases, the gist of Panda’s guidelines come down to one thing: you want to make sure that your content (including press releases and related websites) are top quality, credible, accurate, and creative. Written for people, and not with the intention of influencing search results. This especially matters when you think about the quality of the press release distribution/wire sources. There are many free services out there, but free does not always mean quality. When you are submitting your press releases, you want to submit them through quality services as opposed to those with little editorial involvement. So, what exactly does that mean in plain English? Simply put, any time your brand earns a mention in a story, even if it’s not linked back to your website, Google sees it as an ‘implied link” that affects your site’s authority and ranking. This directly demonstrates the value of PR in SEO. Press releases are about generating coverage for your brand, and earning mentions and citations on trusted websites. Even if you don’t get an actual link for your hard work, the mention still sends a signal to Google that your brand (and website) carry authority, generate interest, and deserve to rank accordingly. Use the following guidelines to make sure that your press releases stay in good standing with Google Panda. Are you offering some insight or unique knowledge on a certain topic? Insightfulness is the mother of newsworthiness. If you’re sending out a release that does nothing but associate your brand with a certain search phrase or keyword, please reconsider. Is the content you’re issuing speaking well to your credibility? If you’re writing a press release for the sake of writing a release, then the answer is very likely “No”. Don’t associate your brand with spammy content and links. Make it share-worthy. Put yourself in someone else’s shoes. If they were reading this release, would they want to hit the “share” button, putting it out over social media? If the answer is “No”, then consider rewriting. Stay on topic and on point. If your headline talks about Valentine’s Day and you wind up linking to a Canadian pharmaceutical reseller, then consider rewriting. That link might look a just a little suspicious. It’s alright to focus your press release around a keyword, but aim for multiple specific keywords, and avoid over-using any particular one. This will just help to make sure that your story sounds natural to the human ear. Filling your release with a single keyword phrase over and over again is only going to draw negative attention from Google, and may earn you a penalty in search rankings. In doubt? Read it aloud. If it sounds natural, then you should be fine. For more about keywords in your release, read my article here. Include a link to your website. You will likely want to do this in your contact information and/or your call to action, but it is worth mentioning here. Again, the press release should be about reaching people, not bots and crawlers. Releases that are sent through web-only distributors land on the back-back pages of news sites where journalists and most people never see them. This means that “web-only” press releases are not the way to go. These are relics of a pre-Panda world, and they are a waste of your time. In short, quality content makes headlines. Use quality sources to wire your releases and find creative alternatives to get your message across. 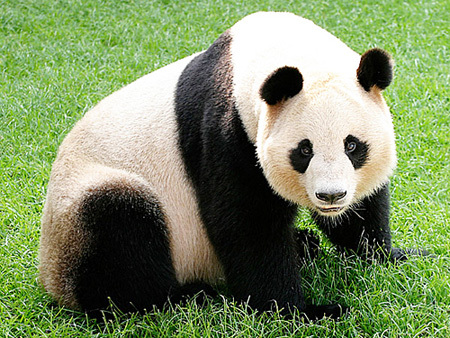 Did Google Panda 4.0 sap much of the power of a press release? Depends on how you use them. If you use press releases to distribute news and useful information to journalists and the public, then no. Can press releases still be used to increase search visibility? Sure, but only organically — use them to garner attention, build influence and relationships, and, most importantly, get in the news. Knowing how to stay in good standing with Google is half the battle (and it’s easy. ).